Since the early 90’s AST has offered a complete line of contact angle systems ranging from the very basic to the completely automated. Through the VCA Optima series, the analytical technique of contact angle and surface energy has been transformed. This is achieved through the integration of a video imaging system, sophisticated software and precision mechanics. Our VCA systems provide quantitative, user independent, surface related information nearly instantaneously. 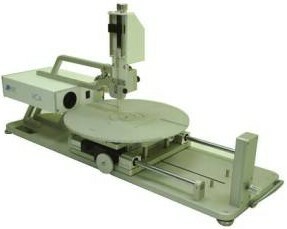 As a function of the video capability, automatic, precise measurements are just a mouse click away. Real time images and data can easily be viewed, charted, stored for future reference or printed. In addition to our popular VCA Optima series we also offer application specific systems such as the VCA-3000s for wafer surface analysis or the VCA-4600 series for flat panel surface analysis. Precision hardware and advanced calculation models ensure measurement accuracy of contact angle to less than 0.1 degree and that of surface tension measurement to less than 0.5 dyne/cm. Dynamic Capture software at 60 Frames/sec. VCA-3000 Series for Water Surfacr Analysis. VCA-3000S Wafer Surface Analysis Systems are specially design for use in semiconductor wafer processing quality control. The system provides quick and accurate contact angle/surface energy analysis on wafer surface to evaluate adhesion, cleanliness and coatings. 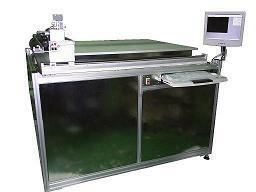 The syringe mechanism can be raised for easy loading and unloading eliminating the possibility of wafer damage. 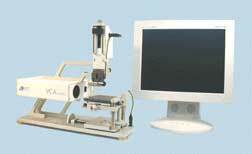 VCA-6000 Series for Flat Panel Surface Analysis. The VCA-4600 Series Surface Analysis Systems for Flat Panel Display are specially designed to accommodate different panel sizes in the industry to evaluate surface conditions during manufacturing processes. Contact angle analysis provides a fast and accurate method for detecting cleanliness and coating problems prior to any full scale panel processing.